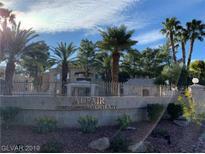 Below you can view all the condos for sale in the Finisterre subdivision located in Las Vegas Nevada. 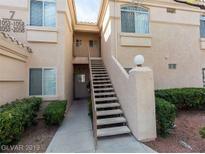 Listings in Finisterre are updated daily from data we receive from the Las Vegas multiple listing service. To learn more about any of these condos or to receive custom notifications when a new property is listed for sale in Finisterre, give us a call at 702-323-5991. Beautiful Iron Staircase! A Must See! MLS#2088102. Keller Williams Southern Nevada. Master with private en-suite.All brand new windows Sparkling community pool and spa.This gem is sure to impress. MLS#2086733. ZipRealty Residential Brokerag. May be a rental property with minimum 30 day rental periods subject to HOA package confirmation. MLS#2079516. BHHS Nevada Properties. **gated Community With Resort Like Community Pool & Spa**downstairs Unit 2 Bed 2 Bath Split Plan One Front And One In Back**all Tile Flooring Thru Out**kitchen Has Bi Microwave And Eating Bar Next To Formal Dinning Area**two-way Fireplace In Living Facing To Balcony With Beautiful View Outside. MLS#2077290. A-Me Realty & Property Mgmt. Well maintained community grounds, pride of ownership shows with these homeowners. Assigned Cover Park MLS#2078852. Realty ONE Group, Inc. This Is The Right Place To Call Home. MLS#2076291. Realty ONE Group, Inc.
Ceiling Fans In All Room, New Carpet And New Microwave. Well Maintained Gated Complex.! ! MLS#2065730. eXp Realty. Interior features Kitchen with breakfast bar, ceiling fan, neutral colors throughout! Community pool! MLS#2066896. Terra West Management Services. 2 beds 2 baths condo located in a gated community in the center of the valley, close to the shopping, school, park and most attractions in the valley, features swimming pool and club room in the complex, 1 year new flooring and ceiling fan as well as the paint, tile countertop kitchen with separate dining area, spacious living room with fireplace, dual-way access balcony, and many many more, a must see in the area! MLS#2063746. Desert Springs Realty LTD.
Unit is close to the Community Pool. MLS#2059156. Elegant Properties, LLC.